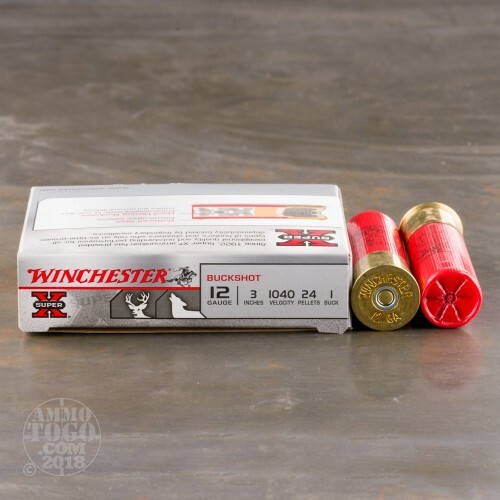 This is 12 Ga. Winchester 3" 24 Pellet #1 Unplated Buckshot Ammo. 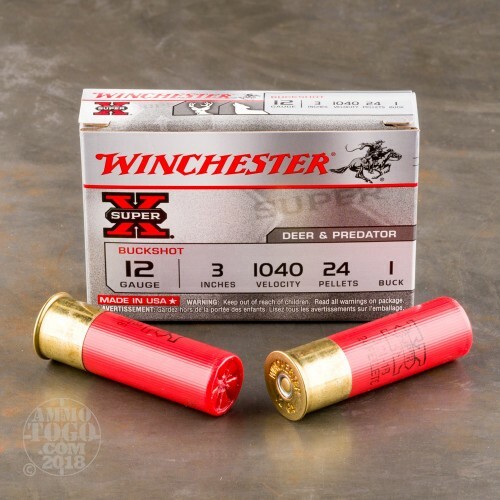 For superior buckshot performance, you can't beat the stopping power of Winchester buckshot loads. Suggested for deer, predators and personal defense applications. Muzzle velocity of 1040fps. It comes packed in 5rd. boxes. 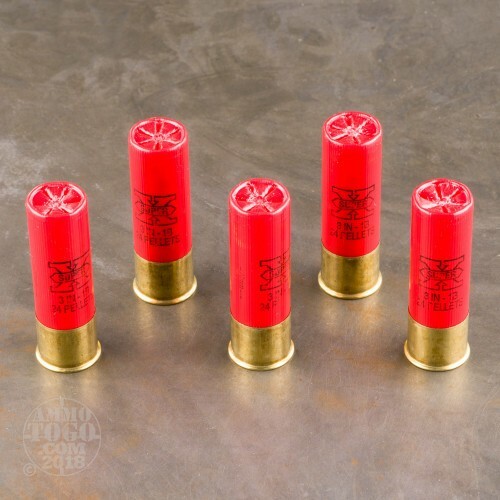 This is some of the best magnum buckshot in the world.this is what I keep my mossberg 500 persuader 9 shoooter loaded with. 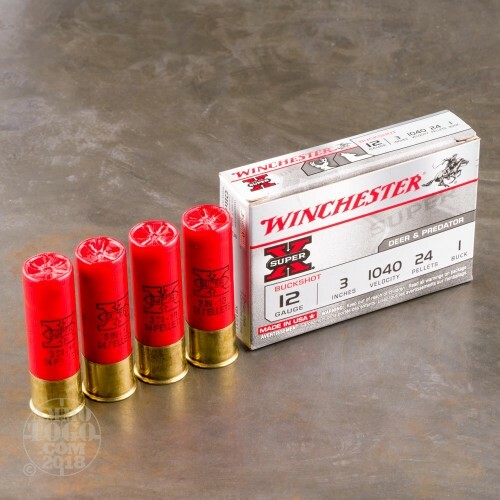 From house-to- street you can't beat the deadly defensive spread of this 24 pellet load. Will totally take out a car full of body's better then a 00 ought buck.